Back in 2009, I was using the Dopod 595, a 3G smartphone. That's when I started experiencing dropped calls on the Maxis 3G network. Unfortunately, I could not disable 3G on the Dopod 595, so I had to live with the dropped calls. But when my wife suffered a stroke and the dropped calls delayed the ambulance's arrival, enough was enough! I quickly switched to the Apple iPhone 3GS but guess what - the problem persisted. Fortunately, the iPhone 3GS allowed me to disable 3G via a simple Enable 3G switch. Problem solved! No more dropped calls! At first, I didn't mind because I figured Maxis would have dealt with the dropped call problem on their 3G network since I first complained about it in 2009. But I soon found out that they didn't do a thing because I was experiencing the same problem! He said Apple informed them that they are definitely re-enabling the Enable 3G switch for the iPhone 4S in iOS 5.1. It will most likely be announced together with the purported Apple iPad 3 announcement on March 7, 2012 and released on March 9, 2012. 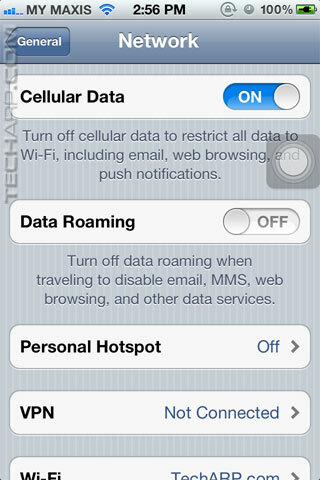 This would allow me to disable 3G on the iPhone 4S and switch to Maxis' far more stable 2G network. Well, that is fantastic news! Not only will it solve my dropped call problem, it will also help improve battery life - a real issue with the Apple iPhone 4S. I can't wait for the March 9 release! BTW, for those who don't know already, the Enable 3G switch was first reintroduced in iOS 5.1 Beta 3 back in January but no one knew for sure if it would really turn up in the final iOS 5.1 firmware. This is the confirmation, at least according to the engineer who contacted Apple about my problem. 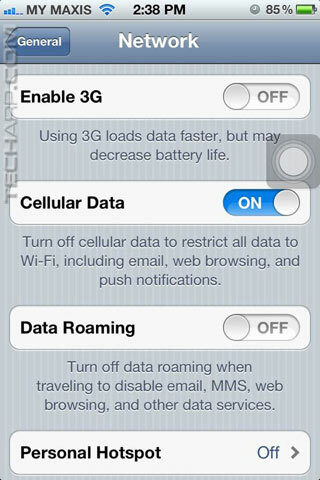 Although the 3G switch was not mentioned, it is now enabled for the iPhone 4S. Phew! I immediately disabled 3G and so far, have experienced ZERO dropped calls. I only had a short time to test its effect on battery life, but my iPhone 4S' battery life seems to be better although I'm not sure by how much yet. Go update now! For a much quicker and easier update, don't use iTunes. If you have already updated your iPhone to iOS 5, then you can update your iPhone "over-the-air". Just open up Settings and go to General -> Software Update. Western Digital To Ship 3 TB Hard Disk Drives! Western Digital To Launch New WD TV! Microsoft Windows 7 Free Upgrade Program Screw-Ups! Updated with information about iOS 5.1.